There are many websites who update Forex trading videos. These videos contain important lessons on how you can improve your trading. 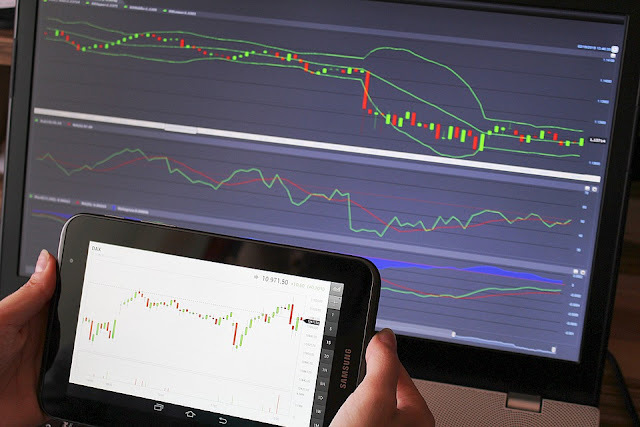 When you are trading in Forex, you need to know every information to help you in making money. People focus on their professional help and they ignore the outside helps. As a result, they have many lacking in their knowledge. Reading a book and learning how to ride on a bicycle is the same thing if you only develop a strategy but never use them in the live trends. The trading videos will help you to understand the different volatilities and trends. You can also read about them on articles but these videos will give you a visual representation of the volatilities and changing of trends. You can know the trends better when you are watching the videos. This article will tell you why you need to watch the trading videos. They will help you to understand the concept, to know the changes in trends and volatilities and improve your performance. You will have lots of online trading tutorials but this doesn’t everything is useful. In order to become a profitable trader, you must have the intellectual skills to filter out the best resource. Those who are new might not understand the proper procedure but we will clear things out. If you are looking for YouTube video tutorials, see the comment of the normal people. People verdict reveals the quality of the content. Just by following this simple rule, you can easily eliminate the low-quality trading videos. When you learn a new thing, apply your technique in the demo accounts. Try to use it properly in your online trading platform. Once you start to understand the new strategy, demo trade the market with the new system. If you can make a consistent profit with an extreme level of ease, consider the new technique as your asset. However, if you fail to make money, and try to find the problems. Solving the problems in an existing trading strategy is a great way to become a profitable trader. So always assess your new trade setups before using them in real account. When you watch a video, there are two benefits. You get a visual representation of what is happening on the chart and you also get to analyze the chart at the same time. It does not happen when you are reading blogs. These blogs only have some screenshots of the images of the chart and the brokers will explain the trends with their articles. It will only give you an idea of how to know these trend but you will not get the idea. The videos that are showing the trends are better and can help you to know the trends that can get volatile. If you want to use your time for your best performance, we suggest watching the videos. There are many channels online where they update the latest videos of the market sessions. You can get an idea of using the right strategy by watching their tricks. A good thing about these videos is they are free. You don’t need to spend money to watch them. The brokers have also many videos online with helpful tips. If you need help, try to go for the video tutorials as they are better than the blogs. Most blogs need to sign up for money after giving you some free articles. We do not realize our mistakes until it is shown to us. When you watch the videos, you will understand what you were doing wrong. It is hard to find them by reading blogs and articles but the videos will help you. As they show visually the mistakes of traders, you can find yours and make yourself better.